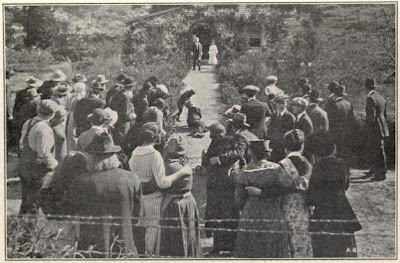 An annex of sorts to yesterday's post – some of the few surviving images of The Miracle Man. 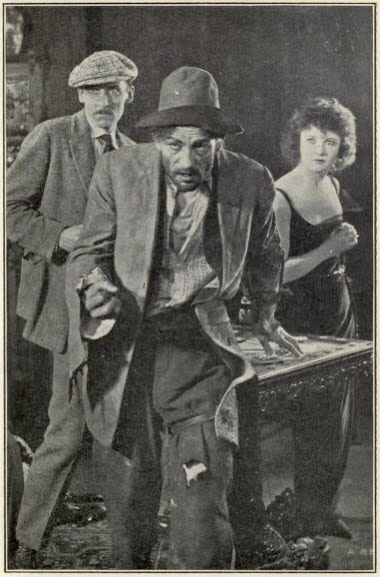 Above we have a lobby card featuring con artist 'The Frog' (Lon Chaney) demonstrating his skills at the feet of good time gal Rose (Betty Compson). "That dislocation stunt always gets my goat." I wonder whether those are actual words from the film. The character is much more fiery in the novel: "You give me the shivers! Next time you throw your fit, you throw it before you come around me, or I make you wish you had – see?" The next images come from the Grosset & Dunlap photoplay edition of The Miracle Man; just three in all, two of which capture the pivotal scene. 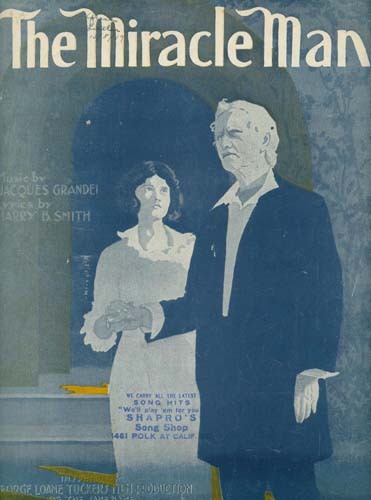 And, finally, sheet music to a song inspired by a silent film. Somehow it makes perfect sense. 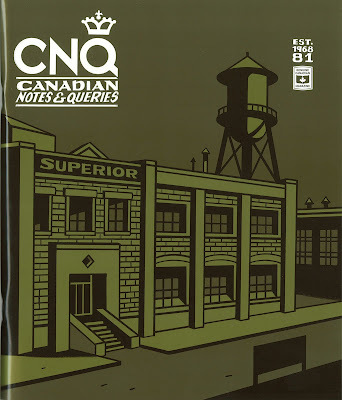 CNQ 81 is in, and should be on newsstands and making its way to mailboxes by week's end. The Genre Issue, contributors include Margaret Atwood, Mike Barnes, August Bourre, Brian Busby, Grant Buday, Devon Code, Emily Donaldson, William Gibson, Alex Good, Jason Guriel, Jeet Heer, Michael Libling, Roy MacSkimming, Steve Noyes, Anna Porter, Patricia Robertson, Mark Sampson, Brett Alexander Savory, Marko Sijan, Ray Smith, David Solway and James Turner. There's fiction by Halli Villegas, poetry by Jacob Arthur Mooney, a North Wing graphic novel adaptation from The Handmaid's Tale, and an X-Ray broadside (for subscribers) by David Hickey. To which I add: Yet another fine cover by Seth. I'll never tire of his work. 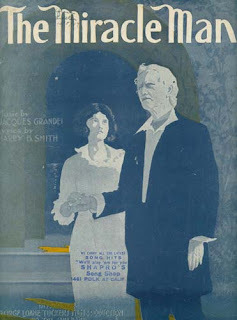 My contribution this issue concerns The Miracle Man (1914) by Montreal crime novelist Frank L. Packard. 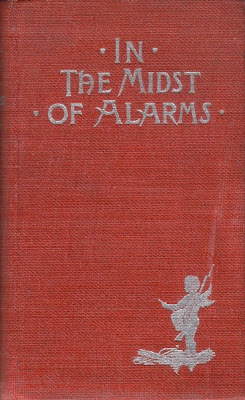 His break-out book, it's a fun and entertaining read, though I admit my main interest lies in the 1919 screen adaptation. 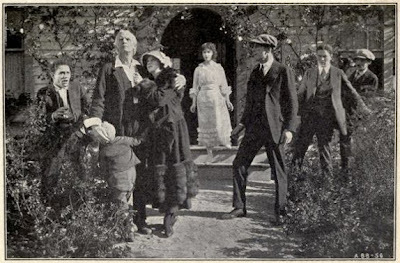 A lost film, sadly, there's just enough below to give some idea as to why The Miracle Man is considered one of the great silent movies. Enjoy! I'm pleased to report that A Gentleman of Pleasure has hit bookstore shelves. The realization of a decades-old dream. 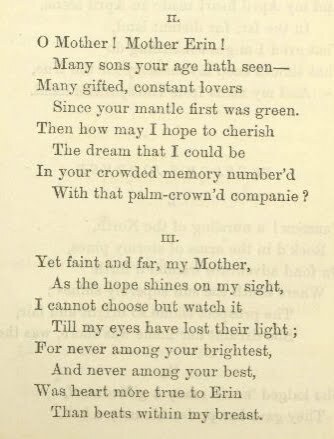 Two poems about ladies' vanity published by John J. MacDonald as a 28-year-old (or so), teetotalling bachelor. 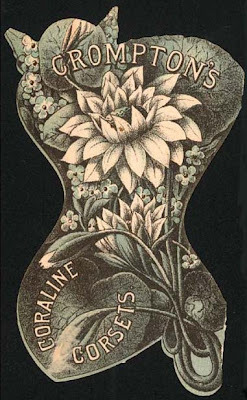 He married a couple of years later, but was a supporter of temperance to the end of his days. 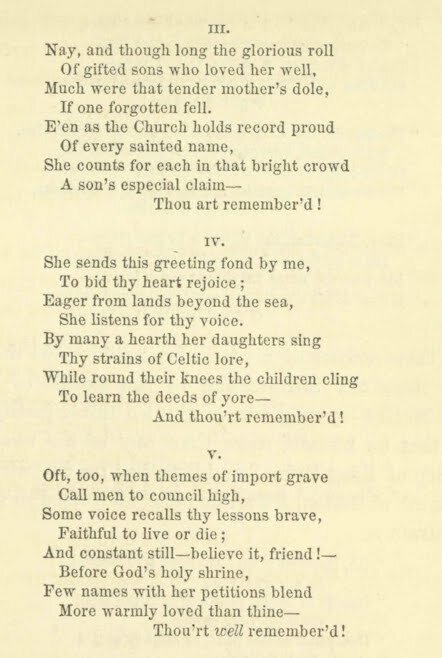 Of all MacDonald's verse, the first is my favourite... the second is sure to offend. Our kind too much rely. They should not feel but shame. No matter what their place. Through this their will to trace. The charms her features lack. Some chilly heart to warm. John J. MacDonald's hate for Charles Chiniquy spreads. Here the target is John Dougall, whose paper the bigoted Montreal Witness, published the the former Catholic priest's lectures. He could only retail what the rest would invent. 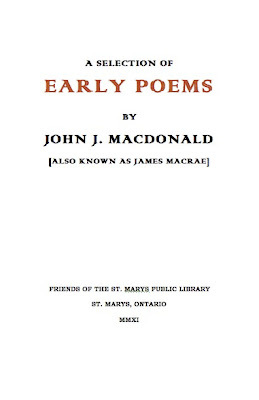 Much of this past weekend was spent working on a limited edition chapbook of verse by John J. MacDonald – a modest fundraiser for the St Marys Public Library. 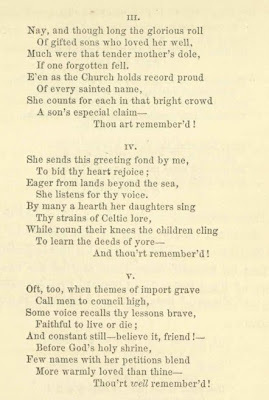 MacDonald, better known as James MacRae, one of William Arthur Deacon's unfortunate 'Four Jameses', was a patron. 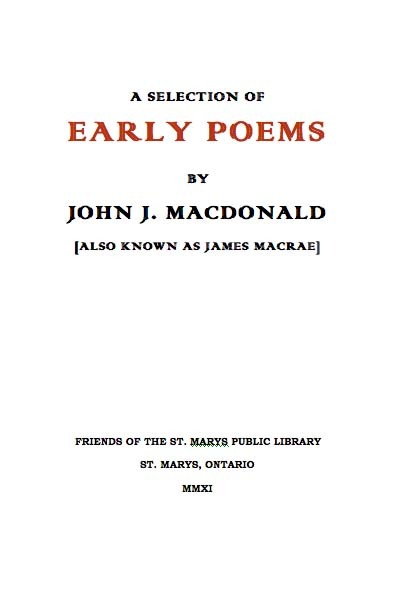 Indeed, Deacon tells us that MacDonald "spent a pleasant old age" in the library, where he poured over "books on controversial subjects like political economy and religion." In the three years I've lived in this little town, I've done a bit of digging into MacDonald's life, but until last week knew nothing of his verse beyond the few scattered snippets Deacon had chosen to reproduce in The Four Jameses. MacDonald's writing – all self-published – is not exactly easy to find. 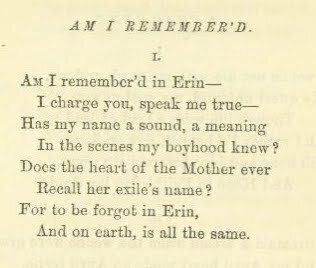 Poems of J. J. MacDonald, a Native of County Glengarry, the c. 1877 volume from which the chapbook is drawn, has almost vanished. Held by a handful of academic universities, it's much more common in microfiche – which is to say that it isn't common at all. Such is often the fate who from parents departs. Where honor and virtue mean riches and gold. When children from father and mother must go! To live with the stranger, the wretched and vile. Now, is that any way to talk about one's neighbours? 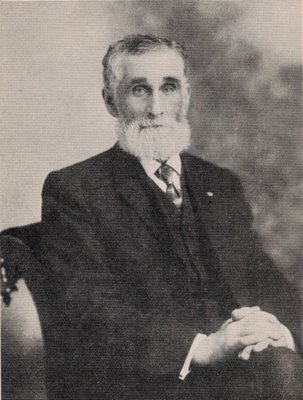 MacDonald lived amongst the wretched and vile of St Marys and its environs for over sixty of his nearly eighty-eight years. 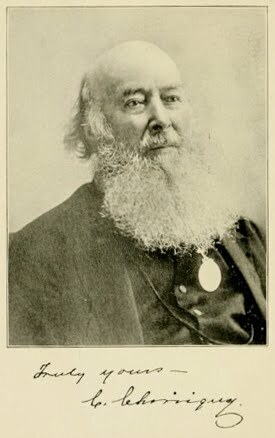 "Among the townspeople he was reported to be mildly eccentric," writes Deacon, "which probably means nothing more than a strongly marked personality intensified by a touch of the artistic temperament, without which no poet is properly equipped... 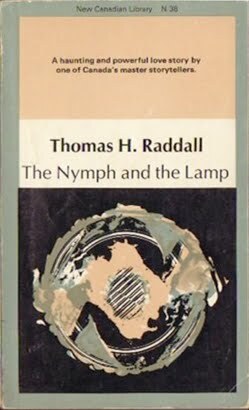 I like to picture him as he has been described to me – sitting in the Library, lost in a book, and, as the theme grippd him, conducting audibly an animated debate with himself, and finally becoming quite excited as the argument progressed." When you come for the next of the clique you love so dearly. He never led a married life. When for a wife he’d hell explore. To Man, however strong his love. Upon the poor degraded priest. And all around is solemn still. 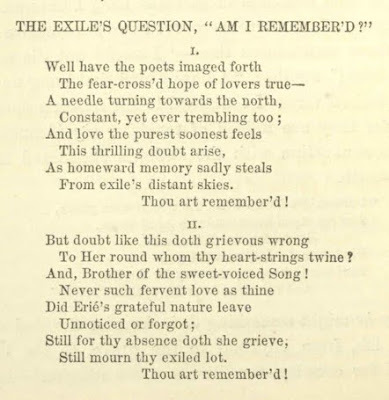 Of shame, remorse, and pride – is fled. Reveal what’s thy religion now. For some time now I've been pushing for recognition of MacDonald in this, my adopted hometown, all the while describing him just as Deacon does: a mildly eccentric man. Now I'm beginning to wonder... is it really so strange that his books aren't found on the shelves of the library in which he "spent a pleasant old age"? 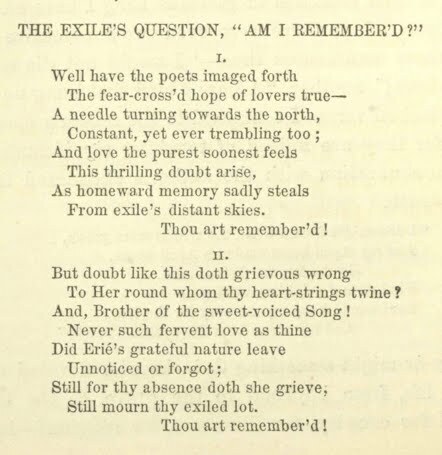 A response from 'Thomasine' (Miss Olivia Knight), originally published in a 1860 edition of The Nation (Dublin). With St Patrick's Day on the horizon thoughts turn to the Fenians. And why not? Their ill-considered incursions helped induce the birth of this country. 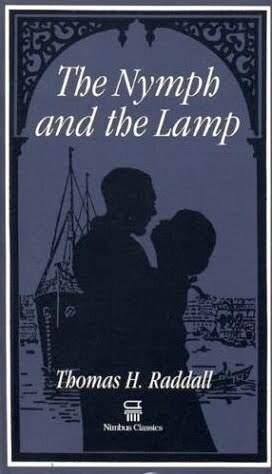 Tragicomic, the Fenian Raids seem suited for satire, so why is that after nearly fifteen decades this forgotten novel stands alone in using those troublous times as a backdrop? 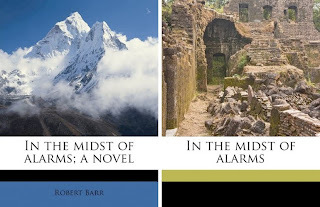 Never having before read Barr, I had more than modest expectations for this book. 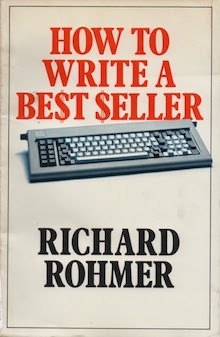 After all, the writer was very much respected in his day. True, he was "popular", but so were his friends Joseph Conrad, Henry James and Arthur Conan Doyle. And consider this: as a volunteer soldier, Barr helped defend the Niagara frontier during the raids. Sadly, nothing of his experience seems much in evidence here. 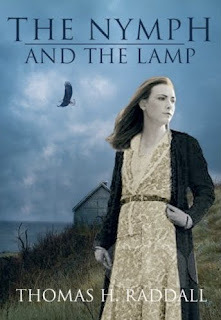 The novel begins well with a strong chapter focused on the reunion of old school chums Stillson Renwick and Richard Yates in a Fenian infested Buffalo hotel. Fifteen years have passed since their last meeting, during which Renwick has become a proper, polite professor at the University of Toronto. Yates, in stark contrast, has quit Canada for a fast-paced life as a New York journalist. 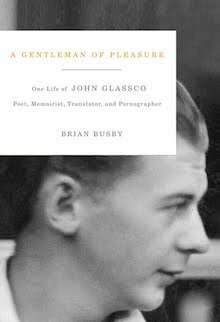 He is a drinker, a gambler, a womanizer and overall bon vivant, a man whose drive has very nearly put him behind asylum gates. A change of pace is required – so he's been told – and the journalist has decided a week or two of camping with his passive pal Renwick is just the thing to cure his ills. The next day, the pair crosses the Niagara into Canada, leaving behind all intrigue and excitement for woodland pleasures. 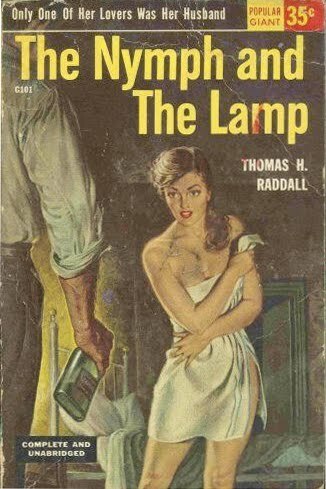 "The Odd Couple Go Camping" isn't much of an idea; Barr seems to recognize as much by introducing Kitty Bartlett and Margaret Howard, two attractive farmers' daughters for the men to pursue. 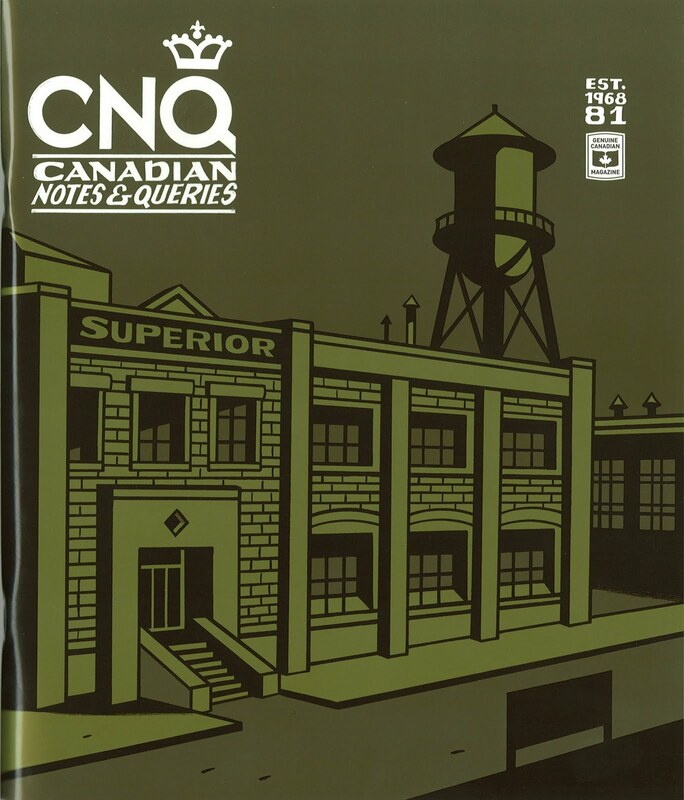 Further pages – chapters, in some instances – are devoted to topics such as soap making, bread baking, and the dueling roles of the rural blacksmith and village grocer in the years preceding Confederation. All quite accurate observations, from what I can tell, but it does become a bit tiresome. The chapter devoted to the mid-19th-century public library policies of Canada West bores even a bookish fellow like myself. But where are the Fenians in all this? They're rarely mentioned; no one takes the threat of invasion seriously. "They won't venture over", predicts journalist Yates, the man with his ear closest to the ground. "They fight with their mouths. It's the safest way." When the Fenians do finally invade, well over half-way through the novel, encounters are fleeting. Renwick and Yates are captured, marched to the Fenian camp, have a brief exchange with "General" John O'Neill, and are released. The professor and the journalist are far away when the fighting begins. Barr's description of the absurd comedy of errors that was the Battle of Ridgeway is limited to a dispassionate, two-page factual account that reads like something ripped from an old high school textbook. "The farce is known as the Battle of Ridgeway, and would have been comical had it not been that death hovered over it," Barr concludes. 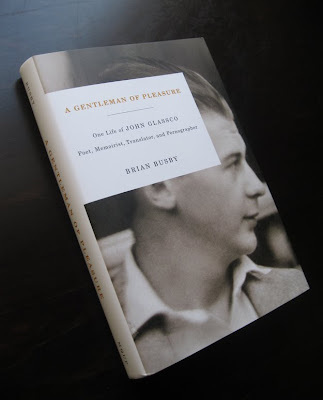 Bloomer: "Touch a man on his business, and he generally responds by being interested." Object: A small volume with microscopic type, this "SECOND EDITION" features five substandard illustrations by C. Moore Smith. 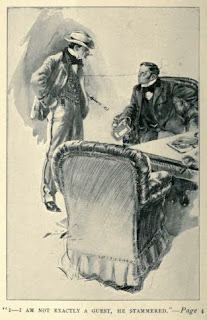 Small wonder that later editions featured scenes imagined by the talented Harrison Fisher. Access: Our academic libraries succeed while our public libraries fail. Those of Fort Erie, Port Colborne and Welland, all key communities in the Battle of Ridgeway, lack copies. In Canada, only the taxpayers of Toronto and Vancouver are properly served. 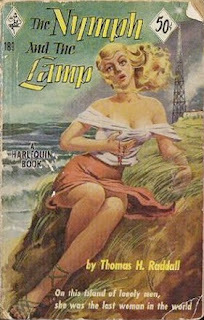 The novel is much more common south of the border. In the Midst of Alarms was a bestseller in its day, and was reprinted for many years thereafter, but there isn't much evidence of this online. 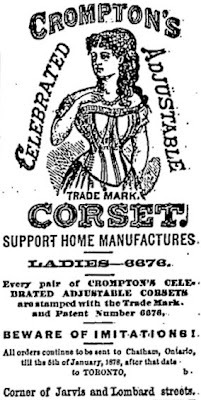 The armful of 19th-century copies currently listed range between ten and thirty dollars. As might be expected, print on demand farms dominate, displaying editions of ugliness and ineptitude. 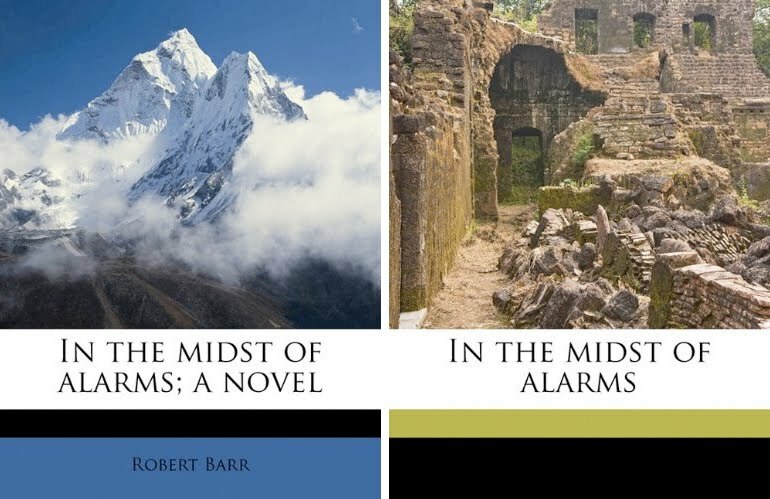 Nabu Press is the worst offender, offering the booklover a choice of covers depicting the snow covered mountains of southern Ontario and the ancient ruins of Fort Erie. And to be perfectly fair, the Popular Library edition does find some spicy, equally misleading competition in Harlequin's 1952 The Nymph and the Lamp. "On this island of lonely men, she was the last woman in the world." The Nymph and the Lamp as post-apocalyptic novel... a different On the Beach. Scott Young, Neil's dad, had a pretty good story about Thomas P. Kelley. It begins with the two men taking a morning stroll on Toronto's Wellington Street. 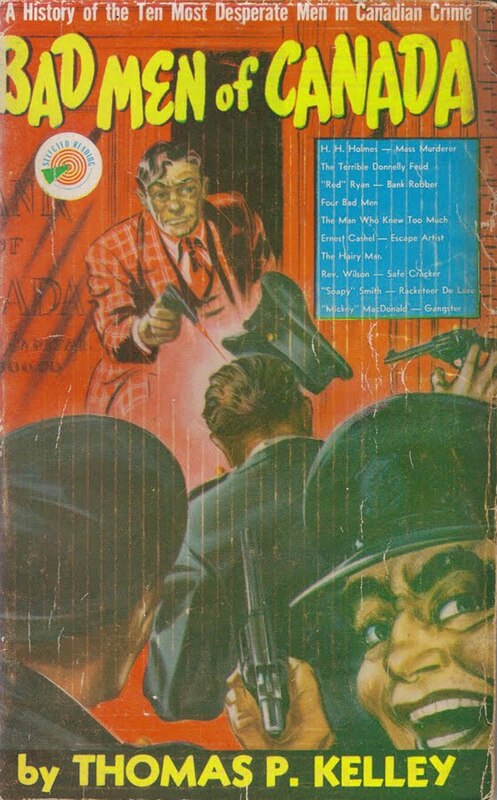 A panicked pulp editor interrupts, offering Kelley good money to deliver a story before noon. Kelley accompanies the man back to the magazine's offices, is given a title – "I Was a Love Slave" – and begins typing. He joins Young for lunch $200 richer. No blockhead, Kelley wrote for money and he wrote rapidly; there were no second drafts. 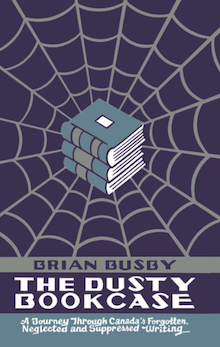 With fiction, he would sprint with an eye on the word count, coming up with an ending only when approaching the finish line. Physically, he was a weakling. He had buck teeth, his nose was somewhat flattened, and he had a habit of drooling from the corners of his mouth. In brief, in appearance, H.H. Holmes was an awful mess! And yet, the gals went for him in a big way! Don't ask me why – your guess is as good as mine! 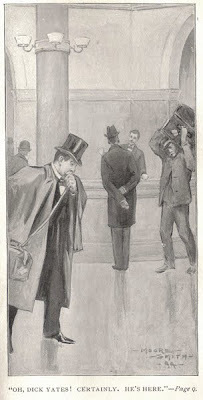 The inclusion of Holmes, subject of the first of the book's ten chapters, is a cheat. True, the man once visited Toronto – he even stayed long enough to murder two children – but Holmes has about as much to do with this country as Charles Ng. 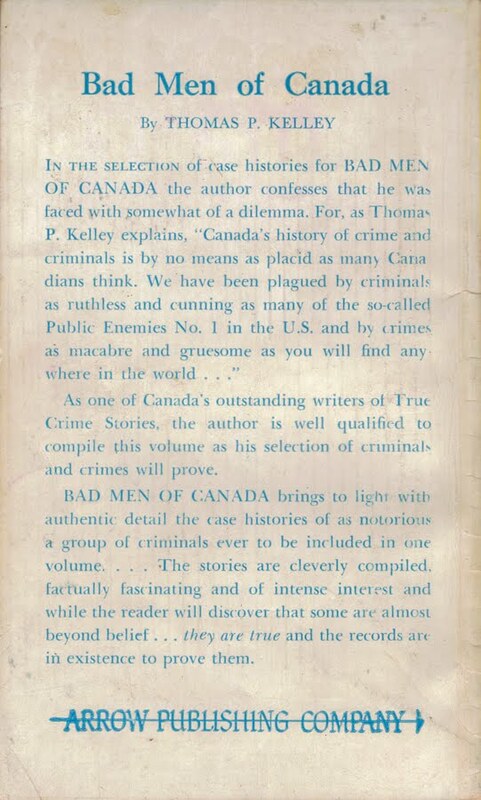 Not all the chapters concern Bad Men of Canada, and the pitch line – "A History of the Ten Most Desperate Men in Canadian Crime" – is just as loose. 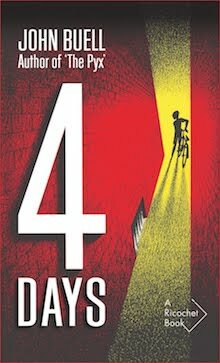 Just who is the desperate man in chapter four, "Four Bad Men"? And what about chapter two, "The Terrible Donnelly Feud"? Is it one of the Donnellys or a member of the mob that killed them? It was no surprise to see the Donnellys in this book; Kelley mined their sordid story throughout his career. 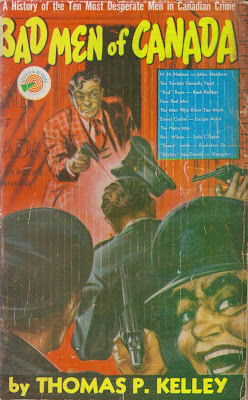 In fact, he'd included the Donnellys in Famous Canadian Crimes, a collection of his New Liberty Magazine pieces, just one year earlier. 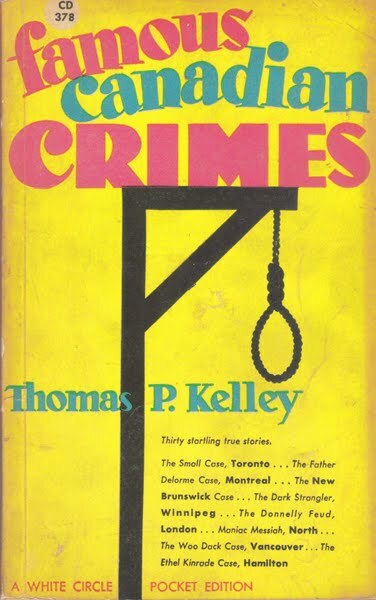 There's a good deal more overlap between Famous Canadian Crimes and Bad Men of Canada – overlap that goes far beyond subject. 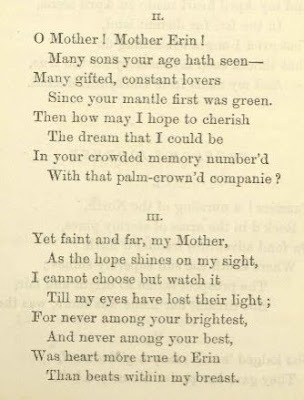 Whole paragraphs are carried over unchanged from one book to the other, while others undergo minor rewrites. 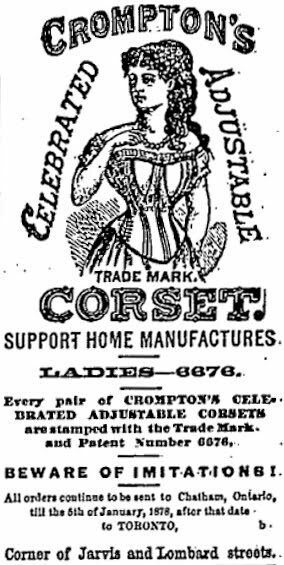 "It was a spring morning in 1879 when four desperadoes galloped into the small village of Ashcroft, B.C., with gun blazing," in Famous Canadian Crimes, becomes: "On a bright summer morning in 1879, four desperadoes galloped into the small village of Ashcroft, B.C., with guns blazing." Spring, summer... who remembers? Anyway, it was a morning. To be sure there are other cases that could have been included in this volume. 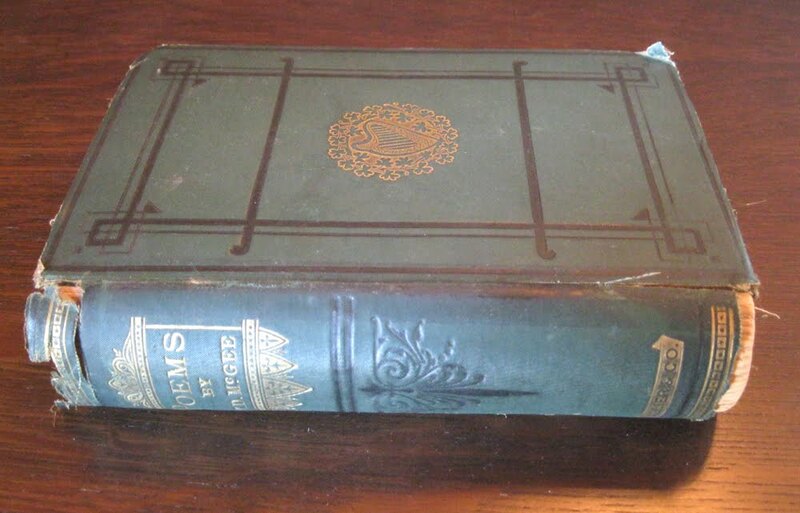 But a volume allows just so many pages – and just so many cases. 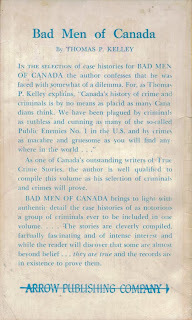 If the reader, after perusing this volume would like to read the stories of more Bad Men of Canada, a letter to the publisher might encourage a sequel. That Kelley, already looking to pull another job. Favourite sentence: "'Here he comes,' he whispered. 'It's Ryan!'" Object: A fragile massmarket paperback, typical of its time. Access: Another Arrow obscurity. 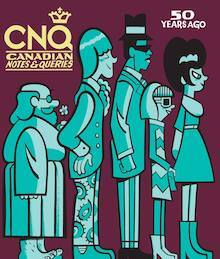 No copies are currently listed for sale online. 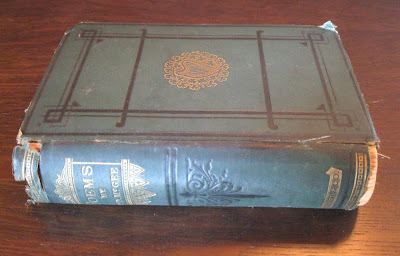 It seems that the only library copy in the world is held at the University of Michigan's William L. Clements Library. "The Clements Library contains a wealth of primary sources for the study of early American history," says the university's website.